Think of a place where modern architecture still keeps its history, where classic meets the contemporary. 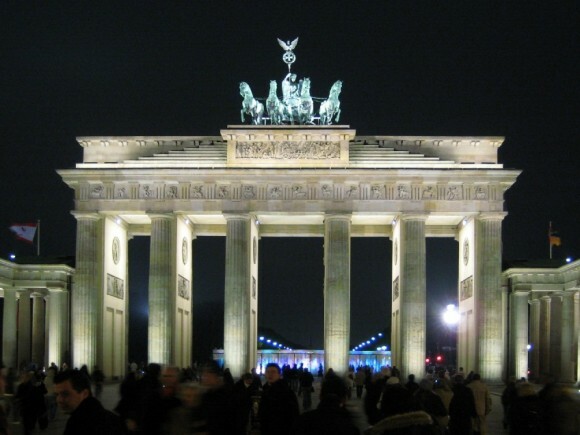 Berlin has quickly developed into a booming and fresh destination for travellers. The City combines glamorous streets and grit stone, filled with fascinating museums, galleries, opera and nightclubs. It is the city that has had the biggest transformation since the World War II. This incredible City combines sites of old and new architecture with the historical Berlin landmarks, such as the Reichstag, the Brandenburg Gate, the Checkpoint Charlie and remains of the notorious Berlin Wall. No matter which street you end up in Berlin, you are guaranteed to be mesmerized by another page of a history book. Berlin is not only the European leading city filled with inspiring architectural monuments but also the host to a display of museums, green landscapes and nightlife locations that will manage to satisfy even the hardest clubbers. It has been estimated that Berlin holds around 180 museums that boast with a vivacious gallery scene, breathtaking exhibitions and auction houses. The Berlin traveller will definitely spend its time in a comfy and luxury hotel room given the fact that the city has more than 9,000 restaurants to display, over 100 theatres with actors performing every day and three breathtaking opera houses to choose from. Basically there is absolutely no chance to suffer from fatigue in Berlin. Germans have their own way of making things perfect and available. In their attempt to make their city the most welcoming tourist destination, Berlin has more to offer than cultural and architectural sightseeing. For those who crave for good food and delicious beer the German capital is packed up with a wide choice of dining locations. Whether you are looking for a romantic meal just for two or a sparkling dining experience for all the family you will have the opportunity to indulge into culinary perfection. On the menu you can find traditional German cuisine that includes sausages, tasteful potato casseroles and sauerkraut but if this seems a serious attempt to your diet then healthy and fresh ingredients will suit your tastes as well. Shopaholics don’t need to worry if they visit Berlin. Everything you could possibly imagine can be found in the Berliner shopping centres. From luxury designer goods in the west end of Kurfurstendamn, to the vintage, boutique style stalls of Hackescher Market in former East Berlin, there are endless ways to spend your money. Berlin can be described as a fascinating city and it has a New York City air, combined with a trendy European charisma, making it the perfect choice for a wonderful holiday.